Xiaomi Redmi 6 Pro has a 5.84-inch (2280×1080 pixels) Full HD+ 19:9 Notch display with 500 nits brightness 84% NTSC Color Gamut which is protected by 2.5D curved glass. It produces good color and Viewing Angle. 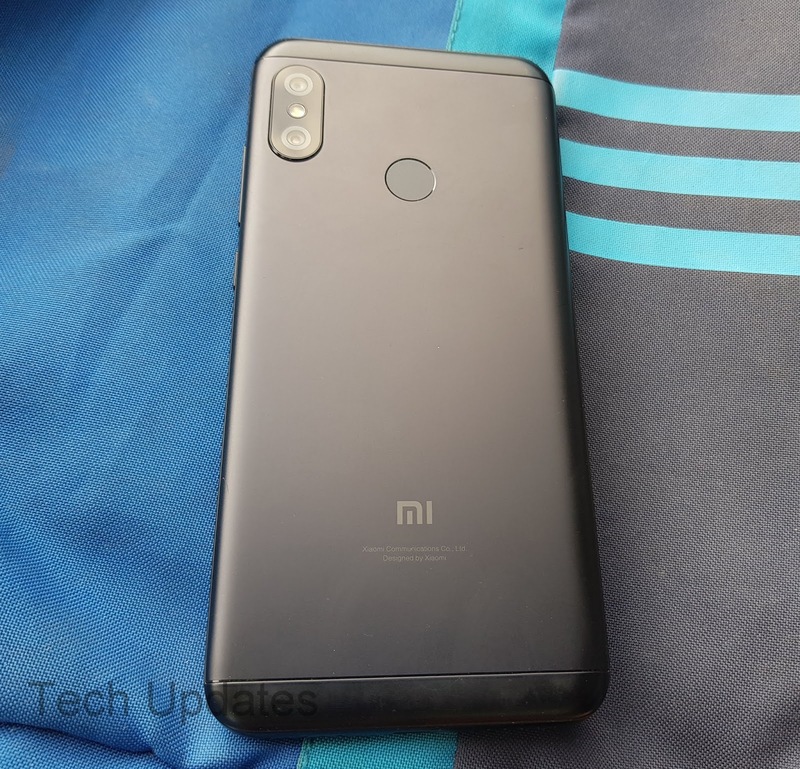 Xiaomi Redmi 6 Pro has a 12MP rear camera with LED Flash, Sony IMX486 sensor, 1.25um pixel size, PDAF, f/2.2 aperture, secondary 5MP camera with Samsung S5K5E8 sensor, 1.12um pixel size, f/2.2 aperture, and 5MP front-facing camera. Both front and Rear Camera has support for Portrait mode and 1080P Video recording. Redmi 6 Pro has support for EIS Camera performance is good in both daylight and the Low light front camera is decent. It has a 4000mAh Battery. It can deliver more than one day of battery life on the Single charge with Dual SIM usage with 7-8 Hours of Screen on time. Xiaomi has skipped IR blaster from Redmi 6A and Redmi 6 but it is available with Redmi 6 Pro which let you control your electronics Appliances through your Phone. Xiaomi Redmi 6 Pro comes with Dual Nano + Dedicated MicroSD card slot up to 256GB. As said earlier Redimi 6 Pro comes with Snapdragon 625 Processor performance is good not a bad processor but its more than 2-Year-old processor now. Nowadays most of the budget phones come with Dual 4G VoLTE Support even Redmi 6 and Redmi 6A supports Dual VoLTE, Redmi 6 Pro lacks Dual VoLTE.